Fundraiser for the Chocolate Church Arts Center. Local celebrities recite and interpret lyrics of Beatles’ songs. Simply put, a poetry slam is a competitive art of performance poetry. 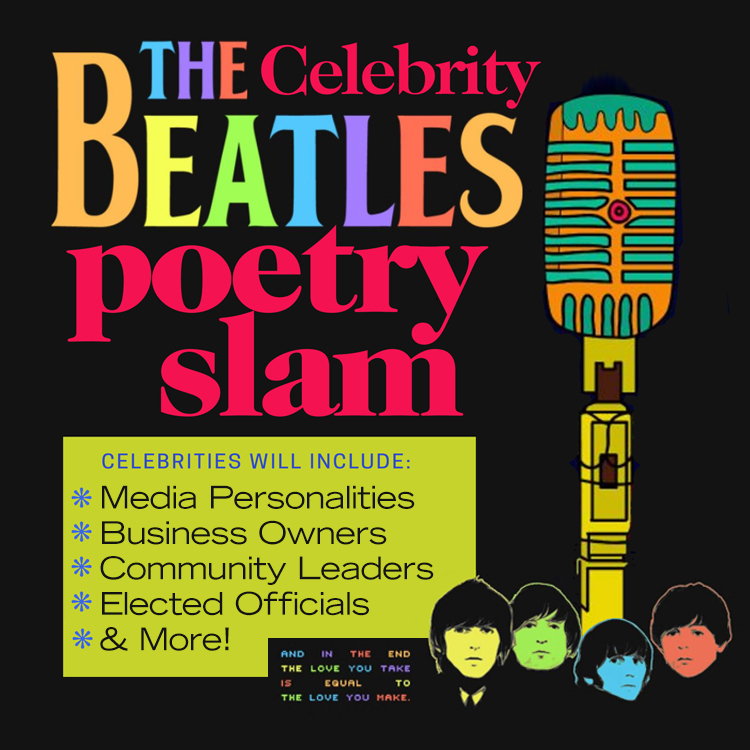 Our poetry slam has a special twist: Local celebrities recite and interpret lyrics of their favorite Beatles’ songs. No music. No singing. The audience is encouraged to respond to the Celebrity Presenters or the judges in any way they see fit: including finger snapping, foot stomping and verbal exhortations! Held in the Annex. Space is limited and VIP table seating (seats 8) is available for purchase.